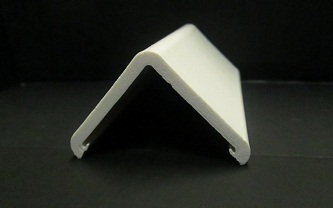 The foaming extrusion method improves thermal insulation performance and saves weight in plastic products, which can be used as an alternative to wood and aluminum. Our water foaming method has an expansion ratio of more than 30 times. Recycled-paper based insulation products are made at our factory in Fukui using this method.